China, as described before, has embarked on the world’s largest high-speed rail program, with more than 10,000 km of passenger rail lines under construction to connect the nation’s largest and most important cities. The result will be truly expanded mobility for the country’s citizens and vastly reduced travel times. 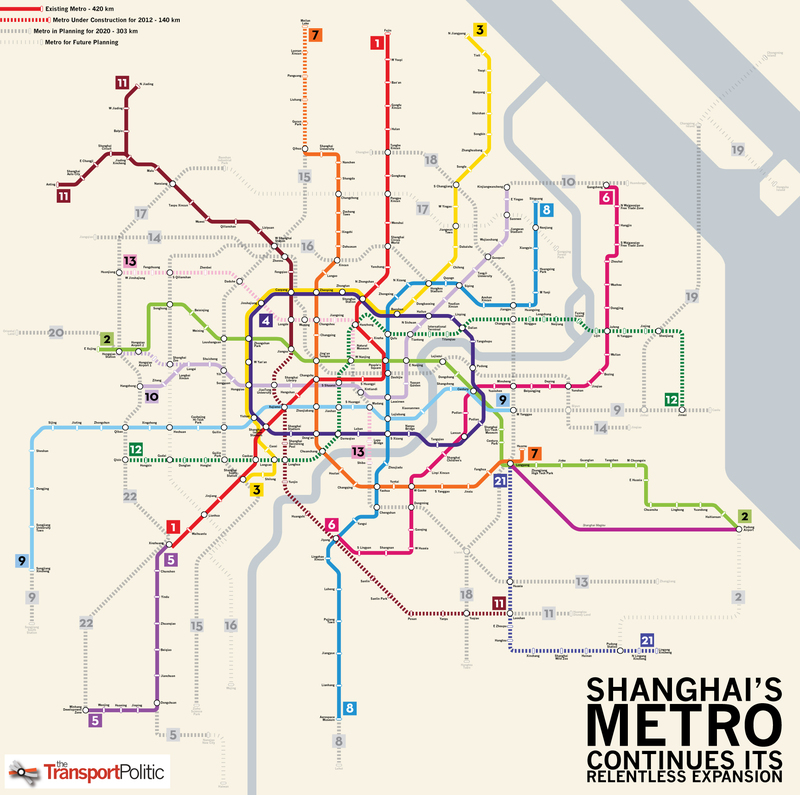 Most important, perhaps, is the Beijing-Shanghai link, which will connect the country’s two largest metro regions, and whose construction began in April of 2008. According to People’s Daily, all of the tunnels along the 1,200 km long line will be completed this year – after little more than a year in construction. Trains along the corridor are now projected to travel at 220 mph, the same as along California’s planned high-speed line, and they will cover the distance in five hours. The New York Daily News and Newsday report that New York State stands to gain billions of dollars in the upcoming stimulus bill, enough to not only iron out the enormous expected budget deficit that is coming as a result of decreasing tax revenues, but also enough to provide for the improvement of transportation in the Empire State. Senator Chuck Schumer and Representative Jerry Nadler had a press conference yesterday in Manhattan to announce that they were busy negotiating with the incoming administration on the specific terms of the now $675-775 billion stimulus. And they suggest that transit capital projects will receive $20 billion of the total bill, with one-fifth of that amount, as per tradition, going to New York because of its huge mass transit ridership. This is very good news for New York City, whose fiscal crisis is threatening transit especially dramatically.